Gemstone Familiar- Stones, the truest familiars you will ever know. Familiars? But aren’t familiars those sweet fuzzy creatures, you know cats and dogs? Yes, but a stone is also a living entity. You are heard me right,Pocahontas wasn’t just blowing hot air. The use of gemstone familiar in magic, is as old as those who began the practice. Coming from deep within the ground, stones are the bones of mother Gaia. with the use of particular stones, you can heal or give strength to yourself of someone else. 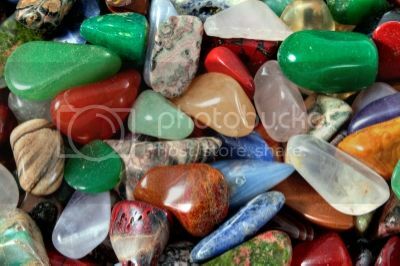 At times while working on a specific spell or charm you can use a stone to magnify your energy. There are even stones to help with a psychic connection. While doing a meditation or perhaps even astral projection, stones can be used to help your mind reach that needed state of consciousness or ground a person before they take flight. But how are they alive? have you ever gone to go to those barrels full of stones in a new age store and found yourself drawn to one? I will bet if you put your hand into the mixture that it would always find a way to the top. That particular stone is alive and attracting you to it. 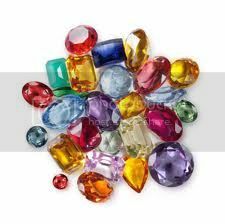 Here is something you can try, yet a bag of stones, make sure there is a variety of them and poor them out on the table. Take several deep breaths like you were about to meditate. Then focus on the stones in front of you, not on anyone in particular but all of them. To feel a little light headed at first is normal just take another deep breath. Block out all the sounds around you, just listen to the stones. Touch them if you wish, in fact most stones love to be touched. Be sure not to rush the process, sometimes a stone will speak out quickly other times it takes a little to coax them out. And that is your stone. You can carry a gemstone familiar with you like a worry stone or make it into a piece of jewelry, like a ring or necklace, it will be your constant companion. Now it is not uncommon to have more gemstone familiar than one. In fact a dear witch friend of mine has so many that she looks like a kid in a candy store. Your gemstone familiar should be a source of strength, of peace and power. But just as you are attracted to some stones you might find yourself with an aversion to others. For example Amethyst, a calming stone and one used in psychic protection, feels like it is burning my skin. So avoid using it in my work, and instead I use other stones to help me in my work. So find your stone and do some research on it. About once a month I will post on here about a different stone. So keep attuned, your stone might be one that we feature here. So have a happy weekend and blessed be!